Even shifting is a collaborative process. Collaboration: “Kia ngātahi te waihoe” – translated this means rowing together in unison. This reflection is timely for me as I have been mulling over collaboration in my head for several weeks because we have begun the shift over into our new building. With the physical shift also comes the mental shift. As a school we always address challenges as they surface and develop systems to minimise impact as it happens. Last week I watched the upheaval in the known as physically furniture and teacher treasures were wheeled between the old space and the new space and wondered about the stress that develops with the unknown. Maori have a word ‘whanungatanga’. Put simply whanaungatanga is about respectful relationships and at the same time whanaungatanga is much more than that. As we shift let us be mindful of not just our students but also our teachers. I have shared before about relationships and its importance to collaboration. At the heart of our learning environments we must go beyond the physical space of what we see and focus on the ‘who’ inside. Recently I was reminded of learning spaces in the new building and how different it looks and the focus of the ‘who’ by one of our students who created a short introduction to our spaces. She said, ‘The space comes to life when the people are inside’. From her narrated video I was reminded about manaakitanga which flows from whanaungatanga and is one of reciprocal care. Manaakitanga is about the care we give to people around us. I stress here that my translations of the Maori words do not do justice to their true meaning but by highlighting them helps us understand the meaning and the strength in their terms. So during the upheaval of shifting, are we practicing manaakitanga and ensuring that we look after each other to minimise the stress of shifting? Yes shifting has to be done. Yes things have to change. Yes some things are non negotiable. And let us keep manaakitanga at the core of what we do. Keri Facer (2011) talks about ‘Gently rowing into the unknowable future, looking at all the possibilities floating out behind us from our actions in the present.’ I give shout out for my old friend Zita Martel. Zita has a matai title Vaimasenuu and is known for being the first woman to lead a fautasi to victory. I often see her image online pushing from the front as captain. In Samoa the fautasi rows backwards. Zita standing on her fautasi guiding her team of rowers is the perfect analogy for Keri’s quote. Wairuatanga is the principle of integration that hold all things together over time. It is more than being spiritual. I liken wairuatanga to the space between the nodes. The unseen. For example the fish does not see the ocean that it swims in. The space between the nodes can be termed hyperconnectivity or the unseen. Finally when I think about collaboration. I am reminded of a quote from Chris Lehman who stated that ‘ Its no longer enough to do powerful work if no one sees it’ in Couros, G. (2016). With this is I think about the ultimate of collaboration, visible co-creation. So show me collaboration. Show me how you have co-constructed learning with your colleagues. Show me how you are reflecting on your journey. Show me your videos, blog posts, articles, presentations. Show me examples of how you work in your learning environments. If the link is locked and I cannot see it, then what you have done does not exist. Evidence speaks stronger than words. So as we continue forward with our shift into our new block, let us practise whanaungatanga, manaakitanga, wairuatanga. Let us reflect on where we have been and use this as a guide to where we are going. Let us find ways of sharing our learning journey and include both the highlights and the challenges. We are not there yet. The wairuatanga is still turbulent and like a boat on rough waters we know we will eventually come back to calm waters. Meanwhile let us row together in unison. Couros, G. (2016). “11 Books To Further an #InnovatorsMindset.” The Principal of Change, 24 July 2016, georgecouros.ca/blog/archives/6522. Today we celebrated #iNZpirED with a difference. #INZpirED began as a 3 nation collaboration India, Nepal & New Zealand. The main objective is to invite our PLN to chat on various topics. This week we had four of us work together to create the format for todays session which was live streamed via youtube. Theme: Wrapping a cloak of support around educators was inspired by the work of Dr Welby Ings. Welby talks about putting an arm around our disobedient thinkers. Twitter #iNZpirED share some highlights of where/when you have felt supported with the NZ Team. Flipgrid – are schools too preoccupied with routine? Participants were encouraged to comment on each others contribution. I used https://www.timeanddate.com to identify times for other zones. I also used CIA Factbook for the different flags. I created this presentation with greetings of languages we have at our school and place them on display. If you want a copy, please help yourself and let me know how you use it. Initially Ritu approached me to host a session and of course I said yes and we discussed a variety of ideas. The idea of live streaming came up and so we brought in a team to work with us. We prepared for the session by communicating via direct group messaging on twitter. I set up a variety of docs and slides. When we got together for a practice run through, each idea was discussed and modified and that is where Padlet and Flipgrid came in. 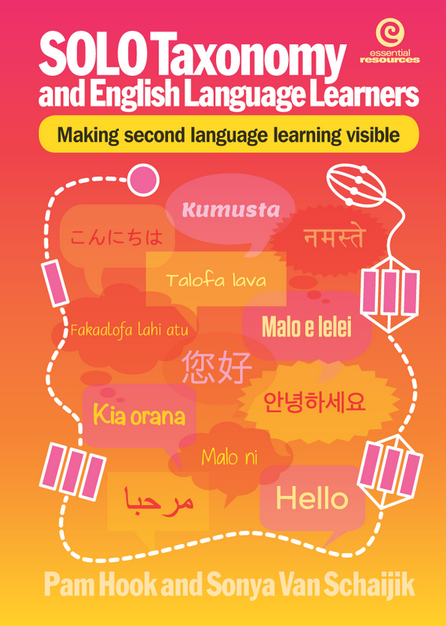 Because we were broadcasting from New Zealand we thought that it was important to highlight what makes us unique in the world and for us kiwi educators it is our connections with our Te Reo and our environment. On the morning of the session we were still tweaking and adapting. Ritu accidentally tweeted that we would sing a waiata and so I did a mad scramble to relearn how to play the ukulele because I could not find my guitar. Unfortunately I only know a couple of chords and so I could not transpose the song down. Therefore it was a little on the high side. The exciting part of pulling an event like this together is the learning that we all do. I loved the use of Padlet to make connections and the use FlipGrid to capture thinking. I also really liked the mapping idea and using images to jazz it up a bit. When we have virtual learning we have the chance to capture digitally what we have done. From the work I have carried out with Julie Lindsay I know the importance of capturing the digital breadcrumbs so that there is a resource for the education community. From my learning with Pam Hook and SOLO Taxonomy I know the importance of documenting the process and identifying what went well, what was the learning and what needs to happen next time. The event itself was fabulous and even more so because of the people involved. That Ritu is truly an iNZpirED_udator. Viv brought her facilitator hat to the discussion and helped with the conversation. As for Kerri I really liked the way she kept opening up feeds within the FlipGrid to drive our learning deeper. The twitter feed was exceptional and we remembered how difficult it is to do both a hangout and tweet at the same time. I give a shoutout to all the tweeps who took part and apologies for not being able to multi task and respond immediately. I know I did not get to twitter until after the hangout. When I rewinded the clip, I realised that I had not switched on my camera when sharing the screen so must remember that for next time. Creating a Hangout is not that difficult. Below are two links on presentation that you might find useful in case you are interested in trying something like this. Soon I will start training any interested teachers in Kahui Ako who would like to take part in a TeachMeetNZ/ ACCoS session. Thanks to all educators who took part today in any of the activities and a special shout out to Dr Welby Ings. Ritu I am holding you to that Flash Mob ukulele idea. Look back and reflect so that you can move forward. Every year I try and learn something new about Matariki and this year was no different. I also noted the fog that rolled in several times in June so can now add this to the signs around Newmarket of Matariki. Next year I hope to climb Maungawhau early enough in June to catch a sight of the seven sisters just before dawn. Last year I was surprised to see that I was not using as much Reo as I thought I was. So I made it a goal to include it wherever I could. For example I included a whakatauki every time I presented. This week at school as part of celebrating Matariki we had TuRongo collective for our students lead by Matua Karena, Matua Puriri and Whaea Millie. They shared with us Pakiaka, Mau rakau and haka and spiritual learnings within waiata. ​Puriri led the students in Pakiaki where they learnt games such as Poutahi, Pourua and Poutoru. I heard expressions such as step into the spaces with feet like a horse not a bunny. Side step like a crab. We then rotated to Mau rakau with Karena where our students learnt about Maui and Matau or left and right. They had fun learning how to trust their friends with the Mau rakau. Finally the students learnt about spiritual learnings within waiata. I liked the analogies that whaea Millie used with the Tuatara and the birds. The way she explained about wiri and pukana. How she incorporated stories in the learning. Finally the students learnt the Matariki song that told about the sisters and again she painted a picture using words so that the children could see the song. What I liked about the sessions was the simplicity of delivery yet the learning was deep. Walking in my learner’s shoes. This year has been an incredible year of personal learning. As I take time to reflect on this year I have much to celebrate. I coauthored a book SOLO Taxonomy and English Language Learners with Pam Hook. I was lead teacher for ALLiS at Newmarket School. I became an ACCoS Across School Leader. I averaged a blog reflection every two weeks. I featured in ESOL online. I presented countless of times at national conferences. I shared at many ESOL area cluster meetings. Our Newmarket School Travelwise student team led us in gaining Gold Status. I published another #EdBookNZ as part of #CENZ with 10 New Zealand Educators. I led my first Flat Connection project that involved three teachers from my school with the support of Julie Lindsay. So what does it mean to walk in my learner’s shoes? This year I learnt a lot about the children I work with. Part of that was due to unpacking the ESOL Data at our school. I understood frustration as I developed foundation proficiency in Mandarin. I struggled to learn to read or even write in my new language. I can recognise just a few characters and celebrate my students who learn to quickly memorise 67 frequency words in English for reading. I understand the embarrassment of being put on the spot to speak in another language and feel my tongue swell up as I struggle to recall basic formulaic sentences. As for the tones, well that is another reflection. I built strong relationships with my students learning English. Again unpacking their data supported this. I built stronger relationships with parents as I took time to find out more about them and where they came from. Like my learners I pushed myself to the limits of my comfort zone. I chose to understand China at a greater level and made it a mission to attend events happening in Auckland. I also coordinated a school week focusing on Chinese language and activities. Balancing work, life and family responsibilities. Continue to make connections with people face 2 face. That work life balance is delicate at the moment. Soon I will head out to my place of sanctuary Tiritirimatangi. There my social media choice is instagram. I can practice mindfullness amongst the trees and snorkelling. In 2017 I have my learning coach and I am excited because I enjoy having learning conversations with her. The last time she worked with me I ended up publishing a book with Pam so I can’t wait to see what happens next. I have chosen my focus word and that is Turangawaewae. This year was whānaungatanga.